When I was looking for a flight from Bangkok to London I kept seeing deals with Air Astana with a stopover in Almaty and Astana. With the flight being as much as a direct flight it seemed like a good opportunity to visit a new country. Astana is the capital of Kazakhstan, and I happened to be in Astana in the month of the 20th anniversary of Astana becoming the capital. Driving in from the airport it’s evident that this city is still a work in progress. There is construction going on everywhere. 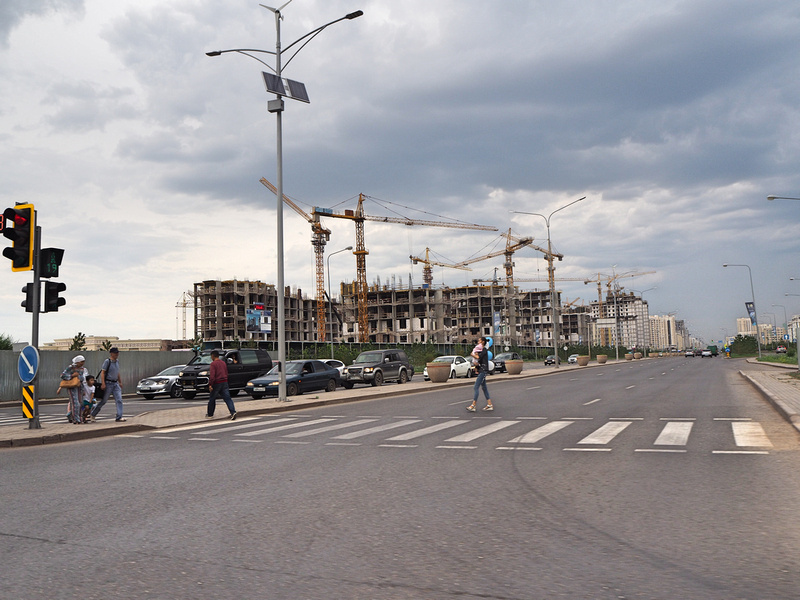 Like the new capital of Naypyidaw in Myanmar, and Malaysia’s quasi capital of Putrajaya, Astana doesn’t seem to be built with pedestrians in mind. The distances between buildings are vast. 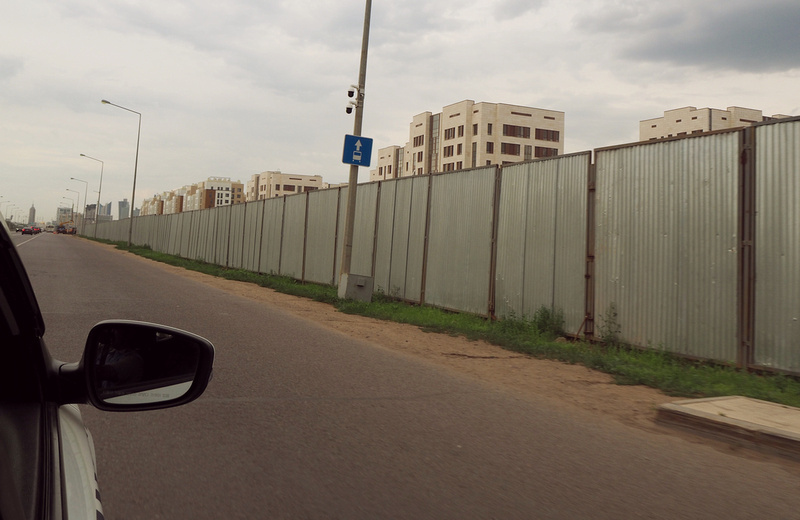 The initial impression of Astana is that it’s one big greenfield project built on a blank slate. 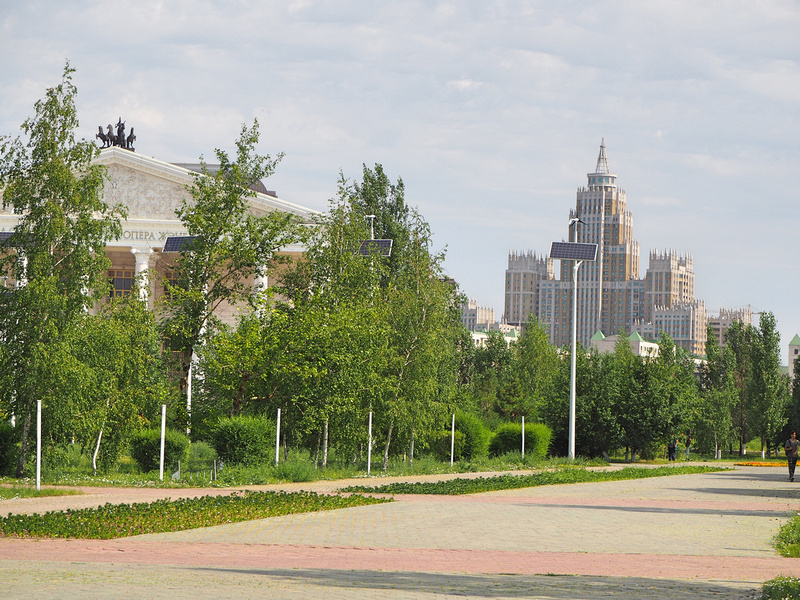 That’s true for one half of the city, but Astana has been inhabited since 1830, beginning its life as Akmoly. It’s no stranger to name changes either, having also been Akmolinsk, Tselinograd, and Akmola, before becoming Astana in 1998. 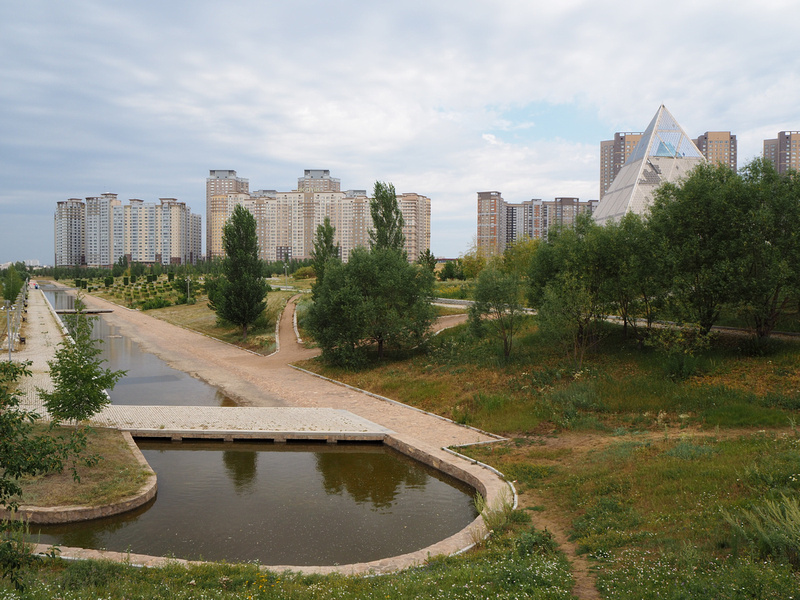 The “old town” is north of the Ishim River, which is where I stayed in Astana. Once you cross the river the city feels more lived in, with lots of Soviet-era apartment blocks. This was a good area to stay for cafes and places to eat, but I crossed back over the river to see the new city. I had a full day to wander around, though walking is a big effort here. 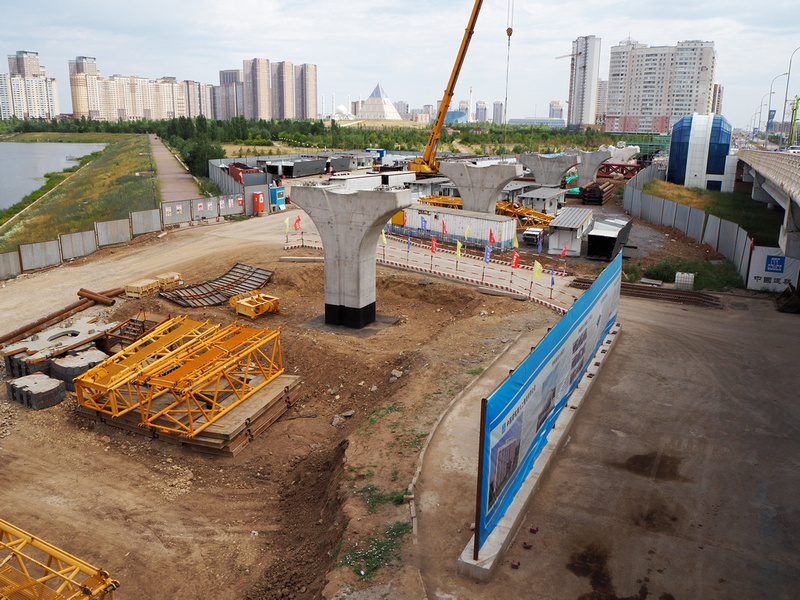 There is a metro line under construction that will connect the airport to the new city area. For now though there is a local bus service, and Uber is also available. I prefer walking everywhere to see all the little details on the ground. I was tempted to get an Uber from my hotel to the start of the new area, but I decided to hoof it instead. 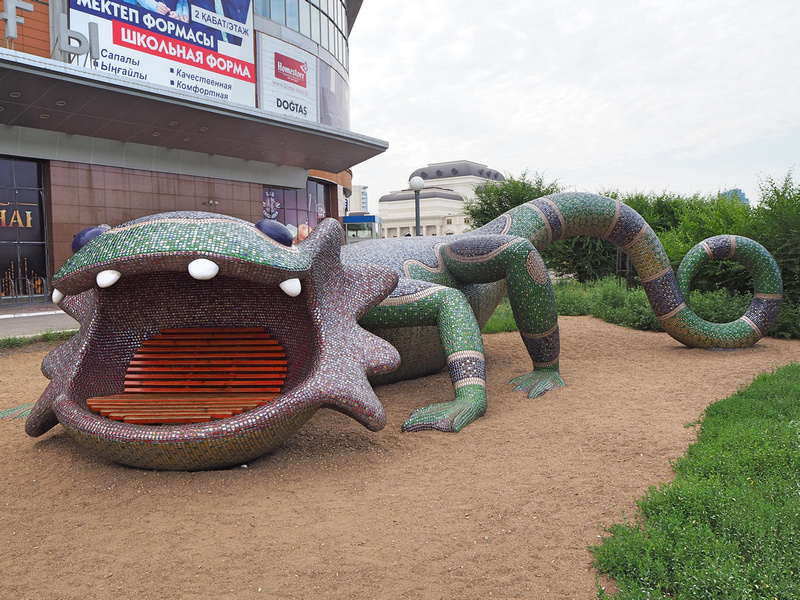 If I had of got a taxi I would have missed this giant lizard seat. I would have also missed this, this, I don’t know what this is, but I’m sure glad I saw it. 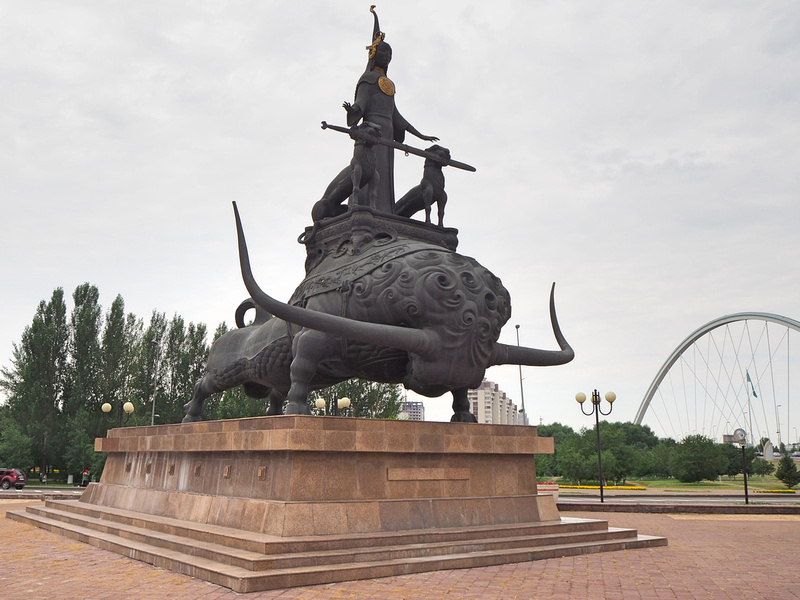 I suspect it’s one of the Turkic mythological figures, though my quick Google for “lady riding a bull with 2 dogs in Kazakhstan” was not fruitful in finding out who. Related to this statue is the logo of Bek Air – my new favourite airline logo. My day focussed on the Nurzhol Boulevard area, where most of the landmark buildings of the new city can be found. 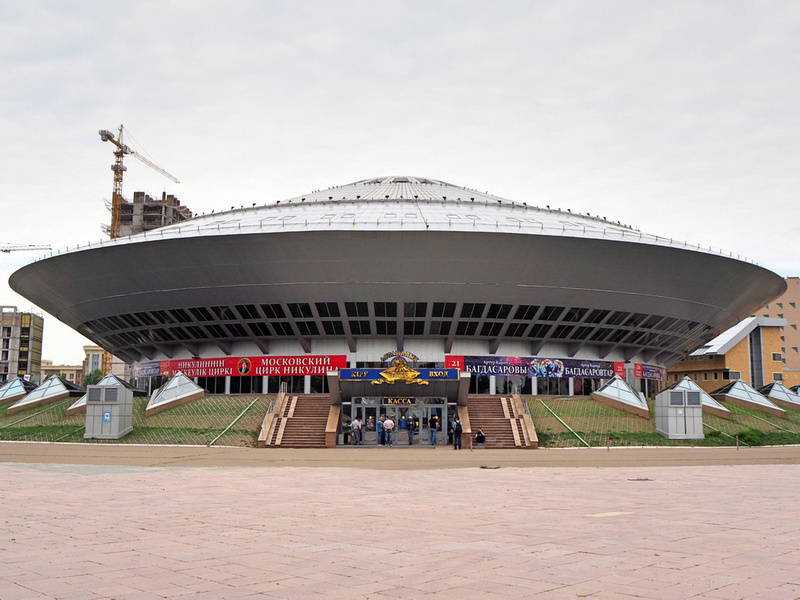 Further south are the buildings of the Expo 2017 Astana, and there is also the National Space Centre, which I would have loved to have visited if I had another day. 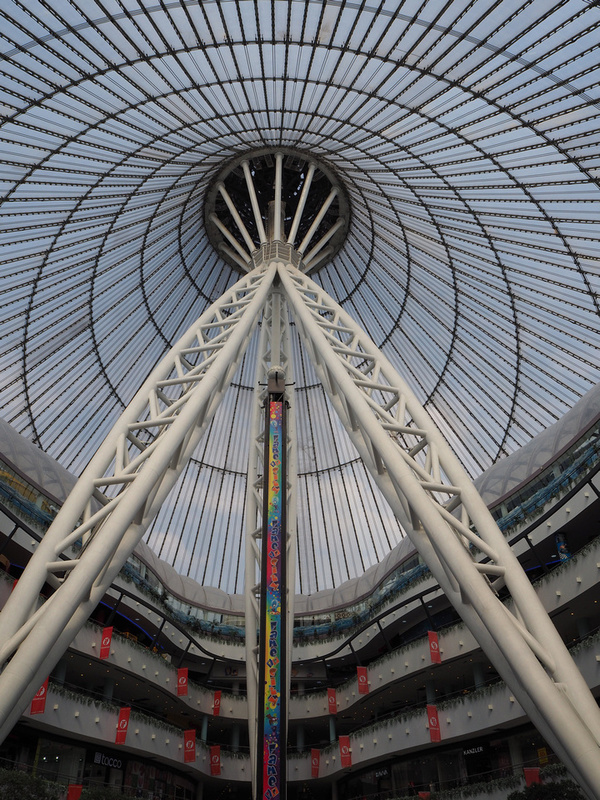 At one end of Nurzhol Boulevard is Khan Shatyr Entertainment Center, designed by UK starchitect Norman Foster. Being such a prominent landmark I thought it might be a concert hall or something cultural, so I wasn’t expecting to be able to go inside. I went over anyway, and found that it’s a mall, which I am totally cool with. If you are going to build a mall you may as well make it a beautiful one. After 90 minutes of solid walking from my hotel I was ready to park my feet at the Starbucks inside the world’s largest tent. 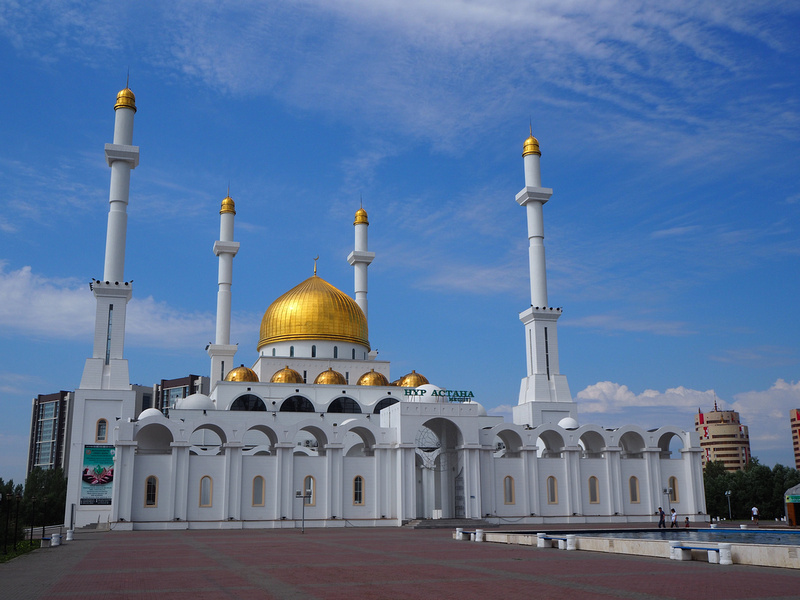 70% of Kazakstan is Muslim, so there are some impressive mosques around the city, with the Nur Astana mosque being the biggest. 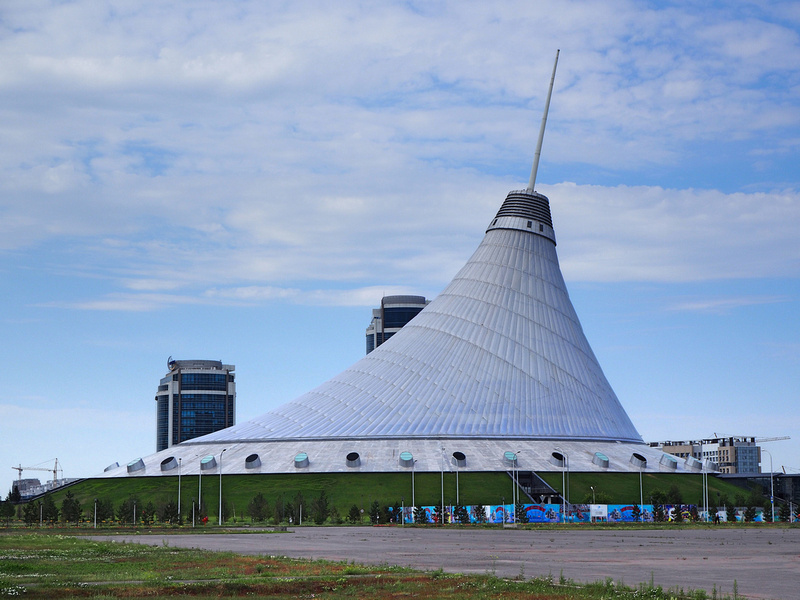 Kazakhstan is a secular state and Astana doesn’t feel overly religious. 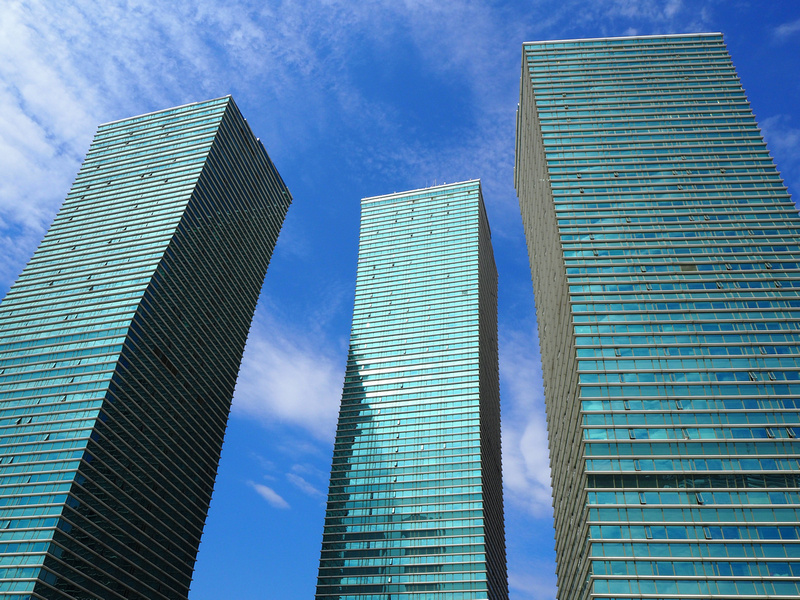 The three towers of the Northern Lights Complex. The symbol of the city is the Bayterek Tower. This was also designed by Norman Foster, or to be more official – Norman Robert Foster, Baron Foster of Thames Bank. I like how there are a variety of different architectural styles along this boulevard. There are some empty blocks along here as well, suggesting that there will be more to come in the future. The Astana Opera, and in the background is the Triumph of Astana. If that looks familiar to you, that’s because it’s modelled on the Stalinist-style skyscrapers in Moscow. 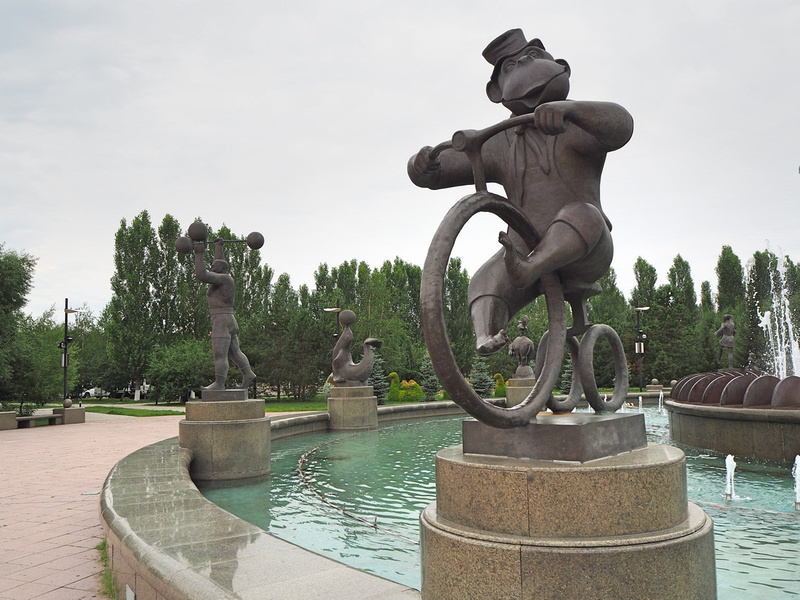 The sculptures at the fountain outside the circus suggests it’s a circus of the dancing bears and monkeys variety. 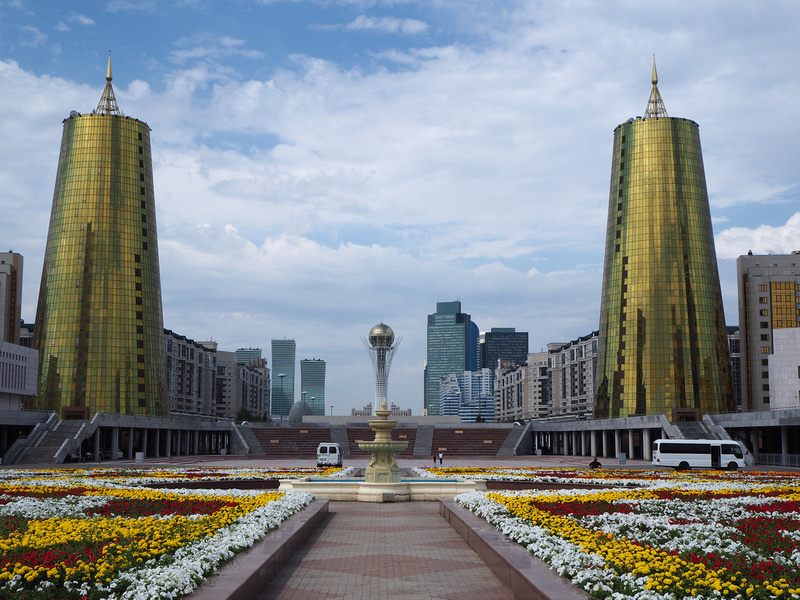 The Golden Towers of Astana. I’ve not found a decent explanation of their purpose. I’ve read elsewhere that they are referred to locally as the beer cans. With 70% of the population being muslim, I suspect they haven’t seen a beer can before. Another more outlandish explanation has these towers linked to illuminati symbolism. 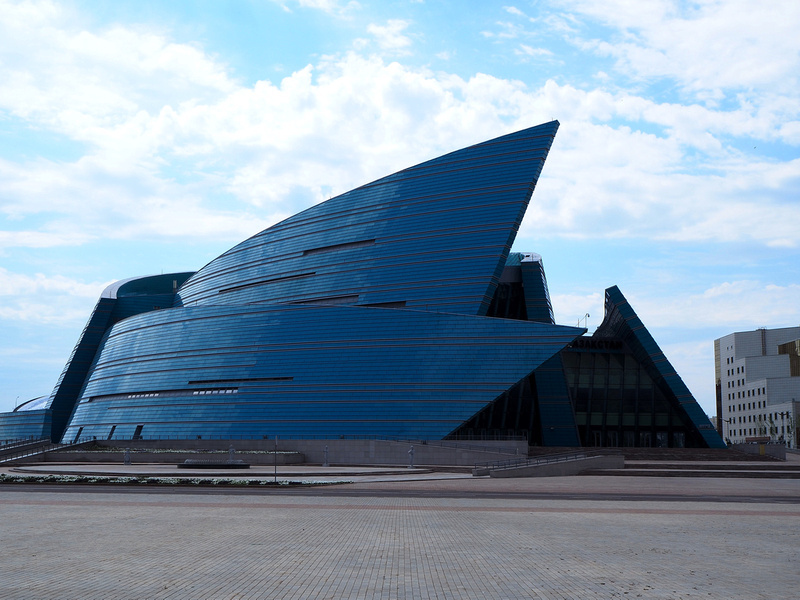 The Kazakhstan Central Concert Hall. At the other end of Nurzhol Boulevard area is another Norman Foster creation. The presidential park includes the pyramid of Palace of Peace and Reconciliation. So that was my stopover in Astana. I wouldn’t say I heart it, but I enjoyed it much more than I thought I would. Easy to say though when walking around on a gloriously sunny July day. Astana has the distinction of being the second-coldest capital city in the world (Ulaanbaatar in Mongolia being the coldest), so I would not consider a stopover in the winter. Like Dubai, it’s the sort of place I’d like to come back to every decade to see how it’s progressing and see what crazy new architecture has been built. It’s also probable that I’ll pass through here again on the way to other ‘stans. 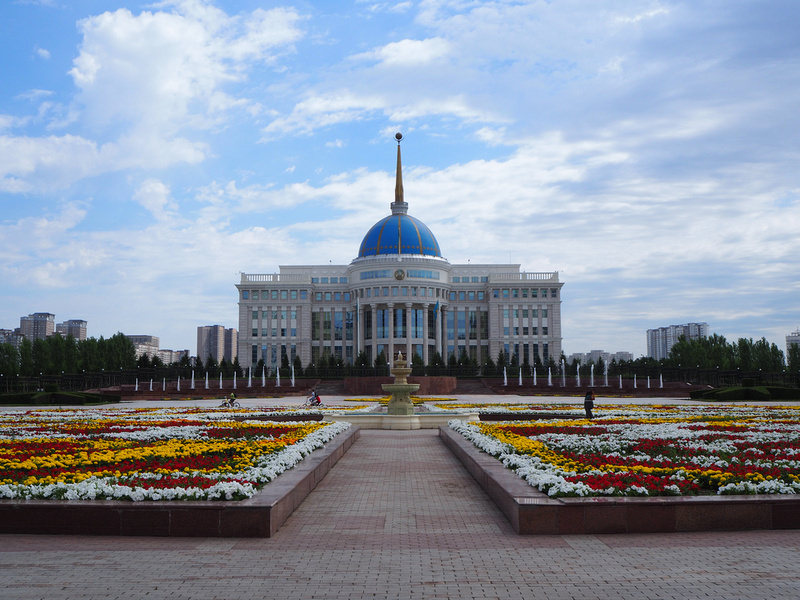 This brief taste of Kazakhstan has made me want to start exploring central Asia. 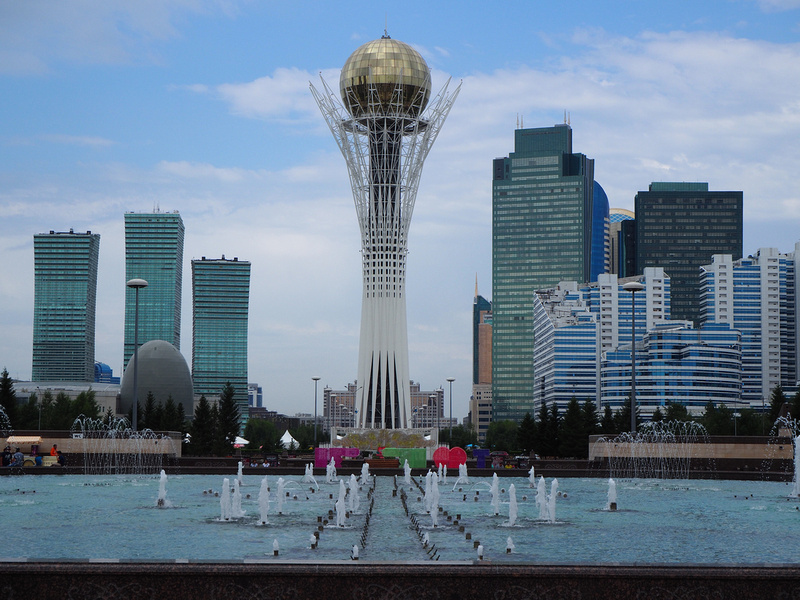 Astana seems like a truly versatile city which has so much to offer. I must admit that this is the first time I’ve heard a post about it. Excellent job! I had a very different of Kazakhstan in my head. 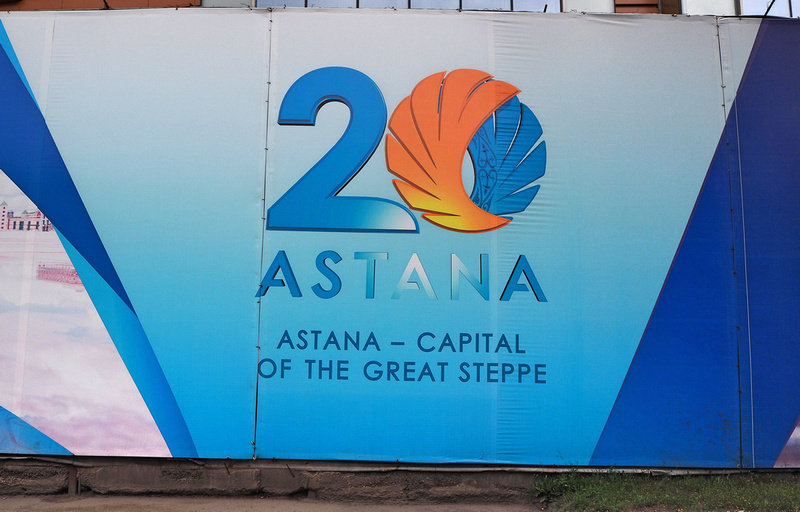 Didn’t even know that Astana was the capital. Great read! 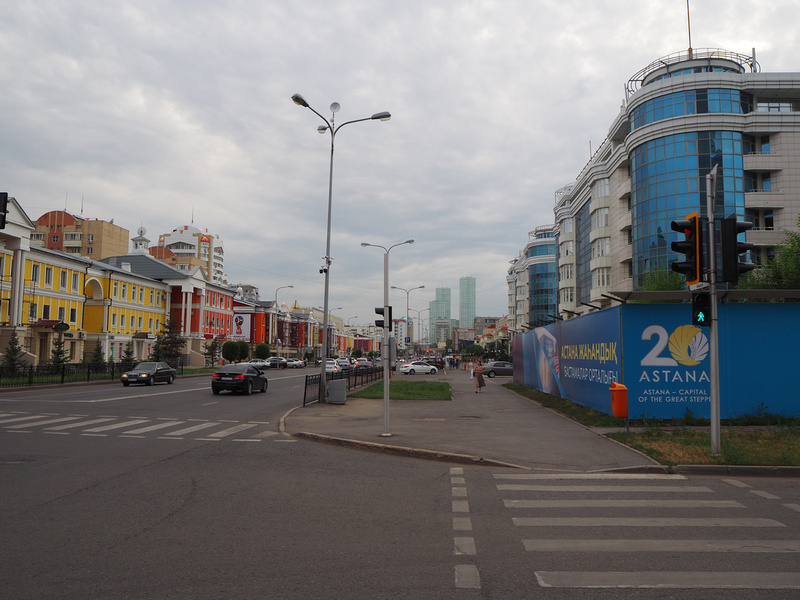 Thank you for the information on Astana; it was a very interesting read and I loved the photos. I am moving there from Bangkok so good to know about being able to stop over with Air Astana on the way to London!